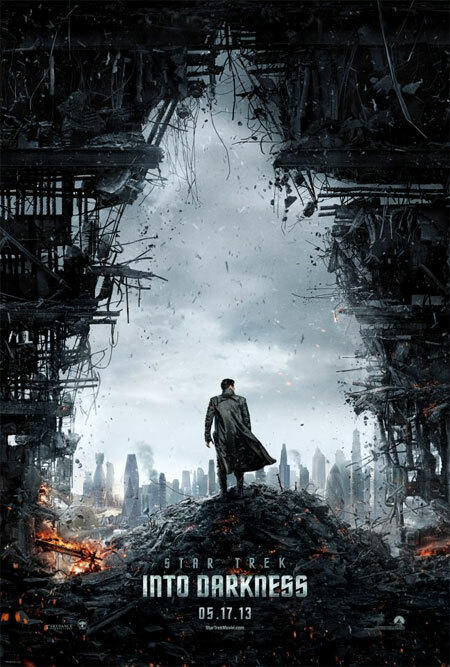 We weren’t expecting much from Star Trek Into Darkness..
No we didn’t like J J Abrams first Star Trek movie…but Into Darkness.. Yes we get a new era of Klingons in this pic (include super-cool new headgear). We get Klingon speaking Uhura and Klingons speaking Klingon on Kronos itself. No classic era Birds of Prey, but a sleek new type of scout ship that looks really cool. No we didn’t expect to see him either, John Harrison is Khan – who knew? No this isn’t a Ricardo Montoblan Khan, but still a devious Mofo and an excellent villain. The line by line recitation in this movie from Star Trek II Wrath of Khan – inverted with Kirk getting irradiated and Spock getting the call from Scotty that he needs to come down to Engineering right away…WAS SHEER BRILLIANCE. Spock screaming out Khan!!! was neat, though a bit mis-placed. In Wrath of Khan, Kirk yells out Khan when he is trapped on the planet beneath Regulla One. Another amazeballs twist, J J went all out to give classic fans things to love. Tribles saved by Khan blood save Kirk. Overall a fun movie, not a pure classic like Wrath of Khan was/is but vastly better than the first J J Abrams Trek and absolutely an entertaining move that we are likely to see more than once.